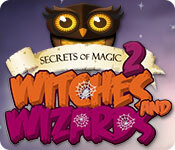 Secrets of Magic 2: Witches and Wizards is rated 4.1 out of 5 by 16. Rated 5 out of 5 by cg47 from One of my TOP 5 MATCH 3 GAMES! Really fun from start to finish. Nice challenges where you need to change strategy for different levels. GREAT FEATURE is ONE SCREEN PER LEVEL...AND CAN FINISH LEVEL in 5 to 12 minutes, so this is PERFECT FOR QUICK FUN BREAK TIME! Cute graphics and music. Rated 5 out of 5 by Bumbles2 from I'm very impressed ... Well done !!! Ok folks ... not writing up a long review this time. Now the reason I'm so impressed ? I bought the game (match 3) and I'm not in the least bit upset that I did. I found it quite easy to play through the 100 levels and it was relaxing too. When I reached the end I started reading the credits and was super surprised that there were only 3 guys and a gal that put this game together...that's why I'm impressed !!! Usually this type of game is developed by a heck of lot more. Anyways folks that's all I have to say at this point...just kick back and have fun !!! Rated 5 out of 5 by denniann2 from i enjoyed this M3 game your parents have been taken hostage by an evil queen and you have to go through M3 levels to get them back. you get power-ups as you go through the game and then gather money to buy upgrades for the items. then as you use one it has to recharge as you play. there are 100 levels. the power-ups are good! the game ends with the statement that there will be a 3rd one. i haven't played the first one yet but i do have it. Rated 5 out of 5 by XFreak from Fun & Addictive ! 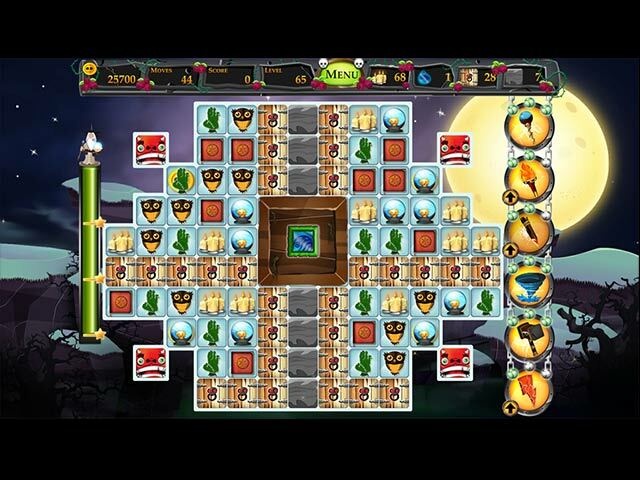 Its really fun to play match3 game! Easy to watch, easy listening and easy to mastering. I just love it! great for killing my time. Rated 5 out of 5 by feanas from Cute Game This is a cute game and should be fun for many. For those who play in windowed mode.... I play in windowed mode with two monitors. The size of this window is excellent. I can shuffle it over to the other monitor and still play it just fine. I am a gamer and I use this other monitor mainly to keep programs open that I use while gaming but do not necessarily need to see, so this monitor is set back out of the way. I can see this game fine. The blocks are large and very clear in windowed mode. This game also has amazing replay value. The story line is "eh" to me, but it does not distract from how cute the playing field is. I know I will replay this cute game many times. Rated 5 out of 5 by brimaz from GREAT NEW GAME!! This game is so much fun it should probably be free to the whole world! I played 12 levels before stopping to buy it. If you're a lover of match-3 games, be sure to add this one to your library - you'll love it. Rated 5 out of 5 by pennmom36 from LIMITED MOVES MATCH 3 WITH QUITE A BIT OF CHALLENGE I'm not usually a fan of the Limited Moves Match 3 type games, but this one has a lot of entertaining features. You can Choose Relaxed mode or Challenge mode with Limited Moves, and you can choose Casual or Expert which has either more or less obstacles in each level and more or less Power-ups available per level. I chose the Challenge mode (limited moves) and Casual which has less obstacles and more power-up available. I'd hate to see how many obstacles are available in Expert, because I thought the levels were quite challenging by the end of the demo. You need to make the required amounts of matches of each token, as shown at the top, for each level. Most levels have a Key you must drop off of the board, that will unlock the hidden part of the Match 3 board. I found it easier to meet the goal requirements by going after the key as soon as possible. Large matches will give you a power-up on the board, Potions will destroy tokens in an X formation, Dark Pumpkins destroy all tokens surrounding it, and directional firecrackers destroy tokens in either a row or column. You can include them in a match, swipe them to an adjacent tile, or double click to detonate them. As you progress, you unlock Power-ups to use at any given time such as the Magic Wand to destroy a token of your choice, a Torch to destroy any Spider Web, and a Stake which destroy one Imp. Coins are hidden under some tokens, requiring you to either make a match of the token that is covering the coin, or you can drop the coin and token off of the board. You can use the coins to purchase upgrades for the Power-ups, so they cover more area. There are several obstacles, some items are encased inside a clay square that you'll need to make matches next to first to break the clay, then drop the encased item off of the board. There are also Crates, and Stone barriers that require one or two matches next to them to break. Spider webs require you to make matches of the same token that is covered by the web, and Imps will multiply if you don't destroy them immediately. I hated the fact that the "loading" page took forever in between levels, and that I had to click to exit the book every time I recovered a page. This is also a Halloween themed game, and would be more appealing to play in October, but I thoroughly enjoyed playing the demo in May. Enjoy! Rated 5 out of 5 by JayTeeLine from A special little treat of a game. Fun, fun, fun and then even more fun. Pure pleasure and delight. A real surprise and a quiet little treat beyond measure. I recommend this game. 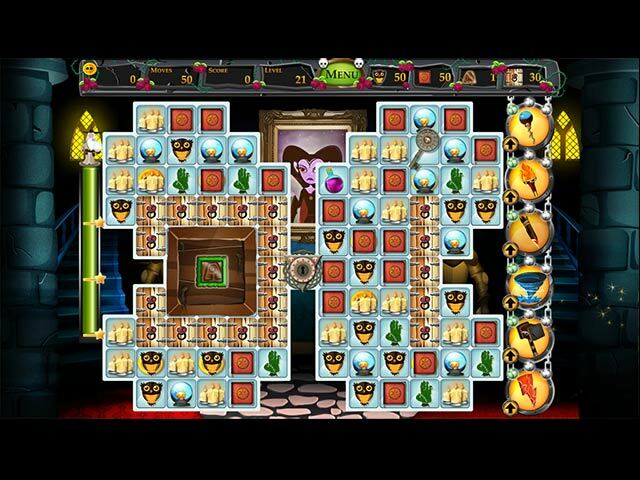 Rated 4 out of 5 by iou001 from I'm Spoiled This game isn't bad but I've gotten spoiled on the Match 3 games that you get to decorate things with your winnings. This game has great graphics and music. But I've noticed a couple of glitches in the game play. It's not enough to keep me from enjoying the game though. 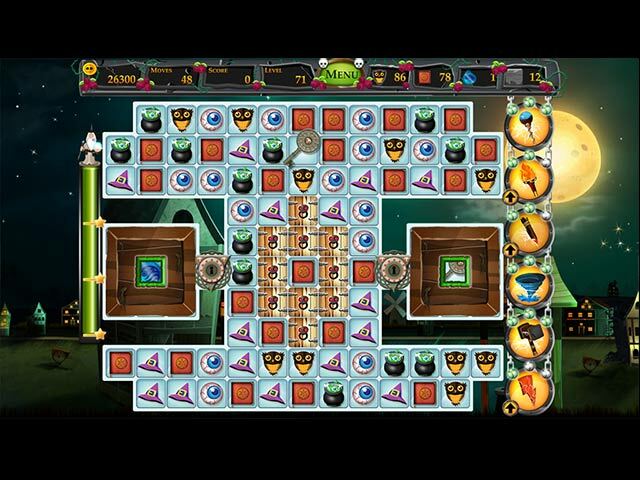 Rated 4 out of 5 by rheashard2 from Not bad This is a fun match 3 game. The visual/sound is very good. The challenge level may be a bit much for a beginner match 3 player. This can be helped by switching to the unlimited moves. The obstacles are fun because there are 4 types. Stone and straw blocks are stationary. The imps and spider webs proliferate. These increase the challenge level especially in the expert mode. I would like to make this 5 stars. I am not because the items needed to meet round goals are small to see for some one with vision problems.